Nollywood Actress, Georgina Onuoha who is U.S. based has slammed Vice President, Yemi Osinbajo. He had said there will be resettlement and rehabilitation for farmers to go back to their farmlands in Plateau. Osinbajo on Monday, visited Plateau followingattacks that left scores of people dead. 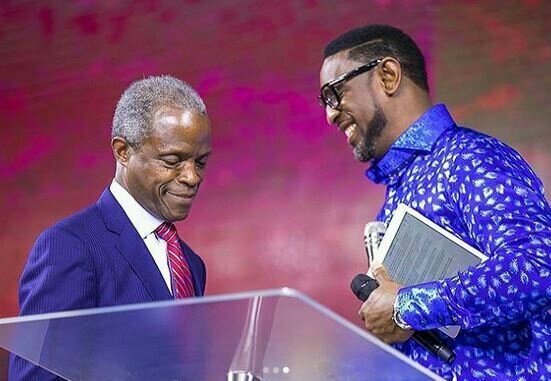 “I can not believe that this man is a pastor and now the Vice President of the Federal Republic of Nigeria. Prof Osinbajo @profosinbajo , you can not serve God and Man at the same time. If the root cause of these senseless killings are not addressed it will keep repeating itself. It’s been blood bathe since this your regime because we are no longer in a democratic nation so I won’t call it administration. Resettlement and rehabilitation of these farmers is not going to stop these hoodlums from invading again. What happened to using the full force of the Nigerian arm forces to fight against these killers. If the non violent protesters of the Biafra agitators are met with killings and beatings by the Nigerian Army and armed forces ordered by your regime, what happened to using that same forces in tackling this menace ravaging our nation. It is time you begin to speak truth to power. Enough is a Enough. Extending your condolences will not change anything. 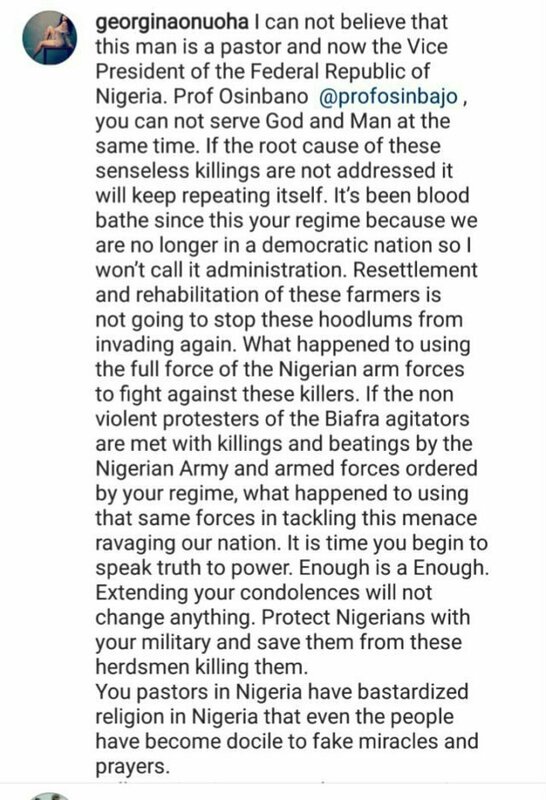 Protect Nigerians with your military and save them from these herdsmen killing them. 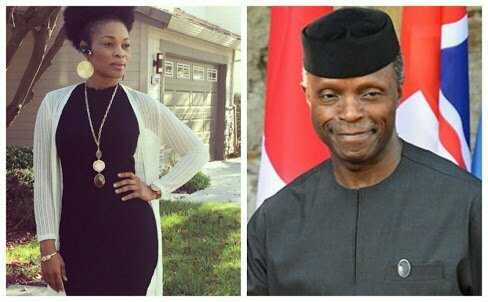 0 Response to "Actress Georgina Onuoha Slams Vice President Osinbajo, Says She Can’t Believe He Is A Pastor"